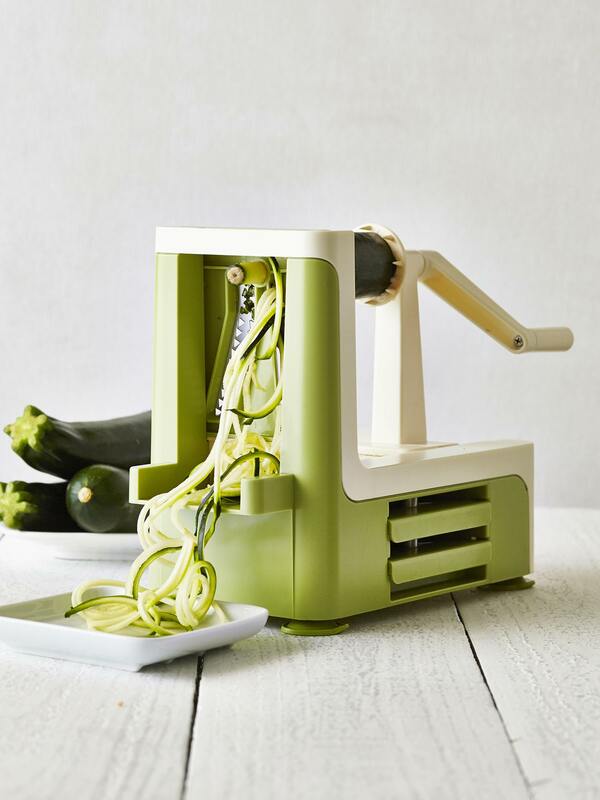 Set to be the kitchen essential of 2015, a Spiralizer may not look like much – no array of buttons or bright LED control panel – but don’t let that fool you… it will add a twist of fun to your food prep and let you join the latest food trend for vegetable spaghetti! With a simple turn of the handle, this little gem will transform healthy vegetables like courgettes, carrots or beetroot into coiled spirals of fun! Suddenly your 5-a-day isn’t just another list to be ticked and eating healthier becomes an easy-to-achieve pleasure rather than a tedious chore. Curly coleslaw and slinky salads are yours for the asking, or enjoy lower-carb spaghetti without compromising on taste. 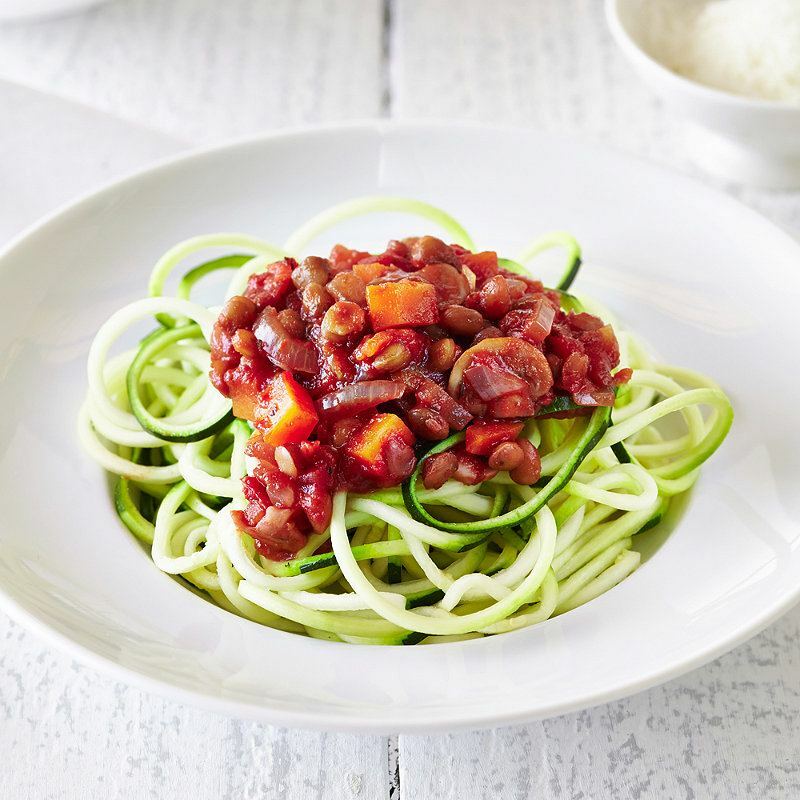 Feed in raw courgette, carrot or aubergine and it produces fine, looping strands which can be cooked in next to no time so that vegetables retain their vitamin content and act as a quick-cook substitute to pasta! Now that’s a gadget well worth having! 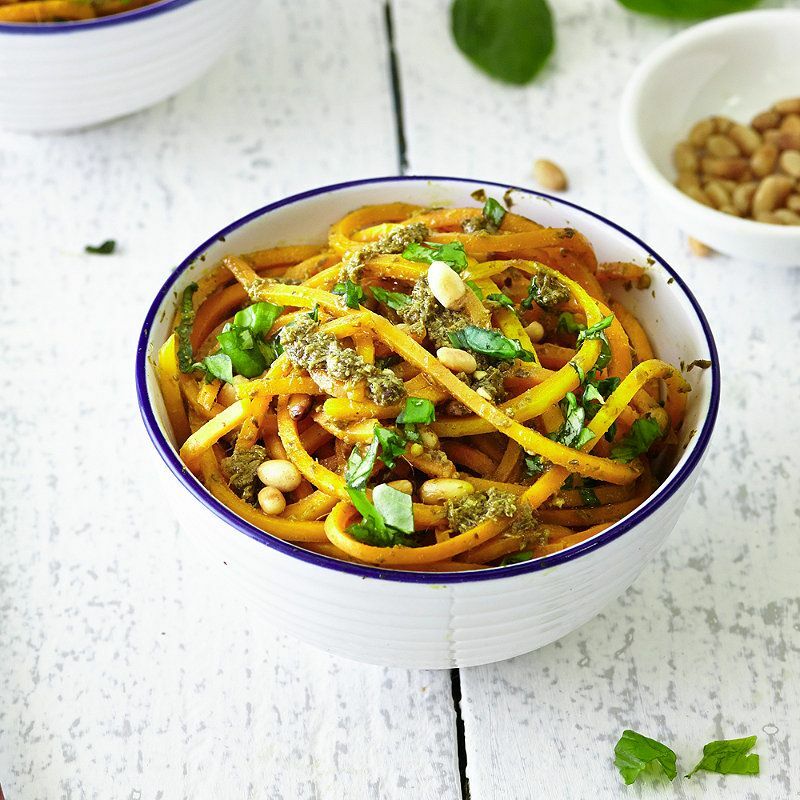 Take a look at our selection of fun Spiralizer recipes! Quick and simple recipe that is healthy and hearty! A new (and surprisingly quick) way to eat butternut squash! 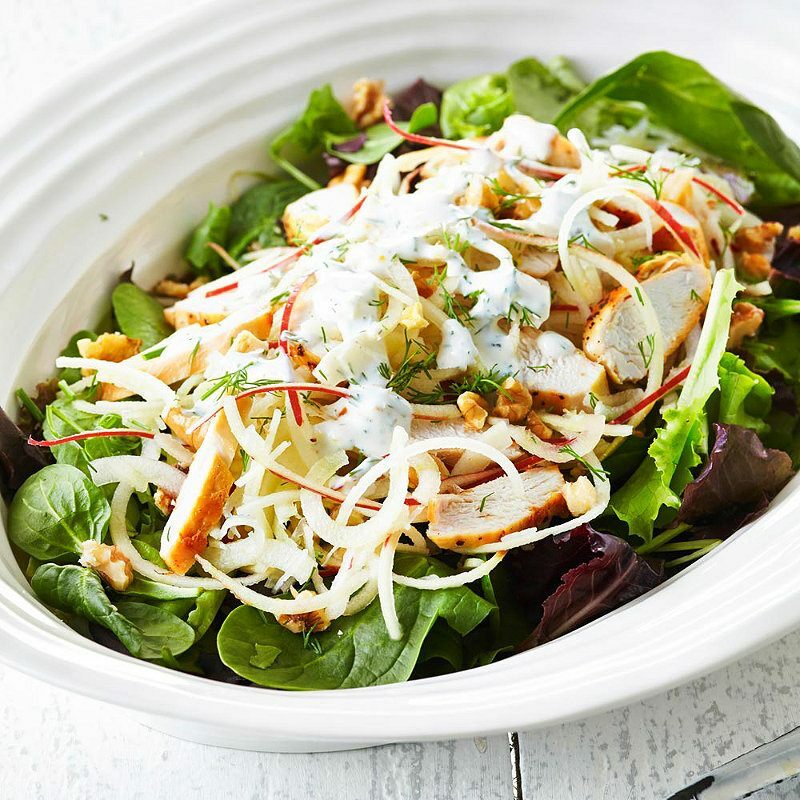 A new twist on a refreshing salad!